How do you punish an immortal? By making him human. 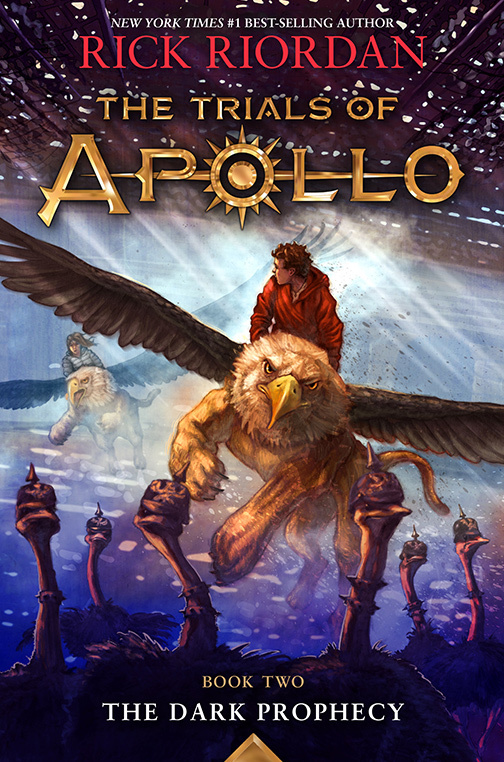 How will Apollo regain his immortality? By restoring the Oracles to proper working order—without getting killed, if possible. And who does he turn to for help? 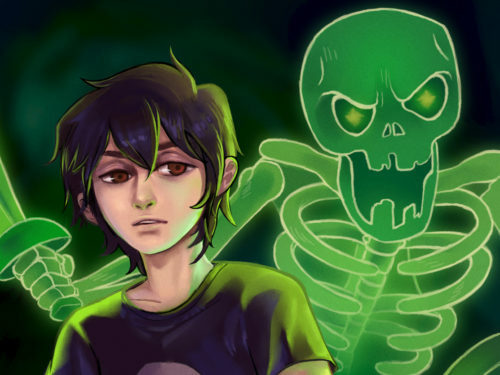 Percy Jackson and the demigods of Camp Half-Blood, of course! 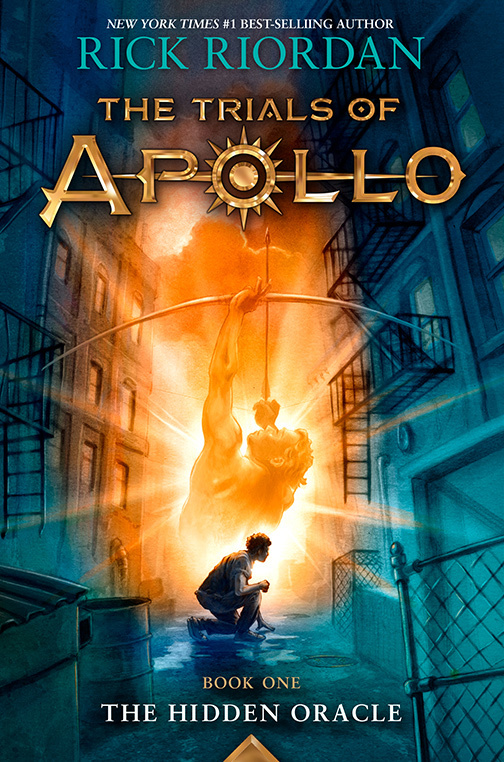 Screaming in terror and landing in a dumpster of slimy garbage is not how the god Apollo typically spends his time. 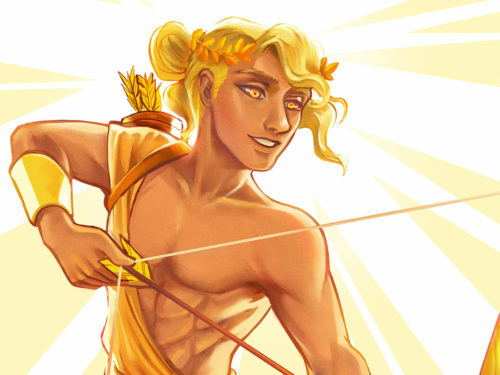 But then…he’s not the god Apollo, not anymore. 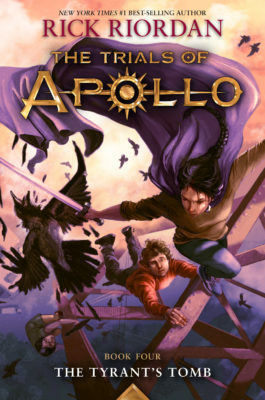 His father Zeus has cast him out of Olympus as punishment for—well, Apollo isn’t one hundred percent sure what he did. His mind is a little fuzzy on that detail. But he’s quite sure his punishment can’t possible fit his crime. Not only did Zeus take away his immortality and his powers, he robbed him of his stunning good looks and perfect physique. His new mortal identity is an awkward teen named Lester Papadopoulos, complete with flab and acne. Seriously? As if being transformed from Apollo the immortal sun god to Lester the mortal zero wasn’t bad enough, Zeus saddles him with a demigod master. That’s the usual routine when gods are cast out–they must serve a master for a year and a day, give or take. 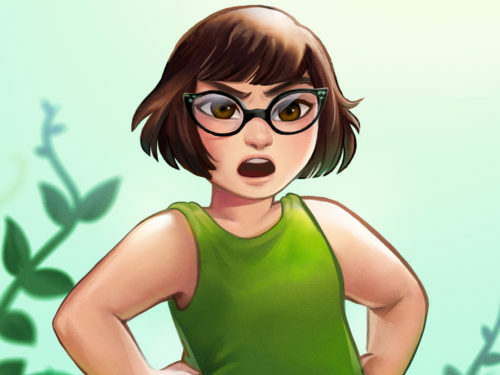 But did his master have to be an annoying twelve-year-old girl with atrocious fashion sense and a blunt way with words? Everything about her offends his nature. But as they say on Olympus…it is what it is. At least, they might say that on Olympus. He honestly can’t remember. He does manage to recall one crucial bit of information. There’s a camp nearby that can help him. Camp Half-Blood, it’s called, the one place where demigods are safe from monster attacks and where he is worshipped and adored by his loving children…who’s names will no doubt come to him when he sees them. 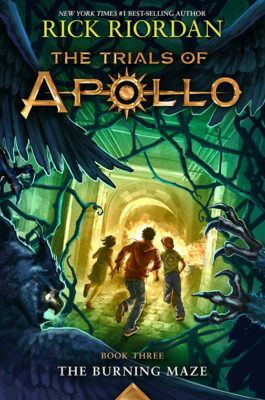 With the aid of Percy Jackson, Apollo and Meg get as far as the western border of Camp Half-Blood before they’re attacked. They survive with nothing worse than a nasty head cold. And Meg has made a new friend, a grain spirit named Peaches who has a limited vocabulary. He’s fiercely protective of Meg, and by association, Apollo. 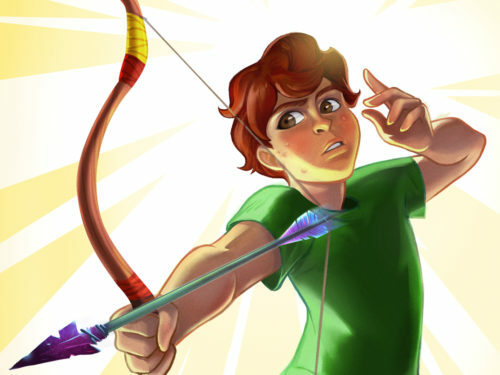 Percy can take them no further—he’s got exams coming up—but Apollo is certain he can navigate the enchanted woods and reach the main campgrounds safely, where he will be greeted with the aforementioned adoring offspring and the other demigods. But he hadn’t counted on hearing voices, or becoming disoriented, dehydrated, and exhausted. 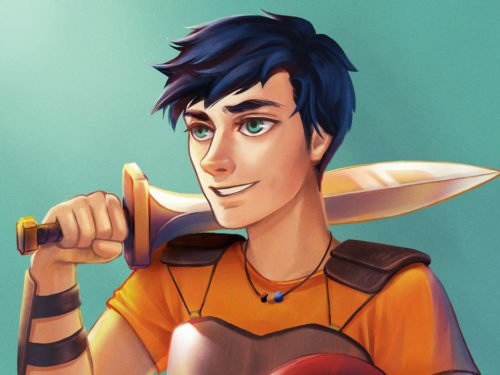 His arrival at Camp Half-Blood is anything but glorious…and the days that follow aren’t much better. One by one, he discovers his godly skills have left him. Archery? He couldn’t hit the side of the latrine with an arrow if he was standing next to it. Music? He might as well be rapping out a rhythm with a pair of spoons for all the joy his lyre-playing gives him. 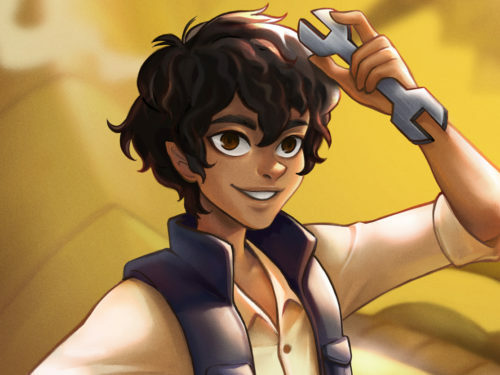 His son Will Solace—he remembered that name, anyway—is a better healer than he is. The only thing he’s remotely good at is creating haikus, but no one seems to appreciate that talent. Then he makes the most troubling discovery of all: Rachel Elizabeth Dare, his red-headed Oracle of Delphi, has gone silent. There hasn’t been a prophecy for months. Prophecies don’t just foretell future events—they guide what is to happen. Without them, the world will stagnate…or worse. And it’s not just the Oracle of Delphi that’s stopped working–it’s all the oracles.